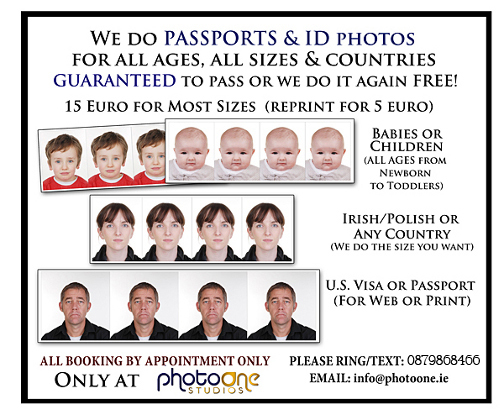 We provide passport and ID photos for every age and can cater for any specific requirements you may have, for example, particular size/dimensions. Your photos will be ready for you in less than ten minutes and they are guaranteed to pass inspection or we will do it again for free. All you have to do is ring/text us at 087-9868466 to make an appointment.